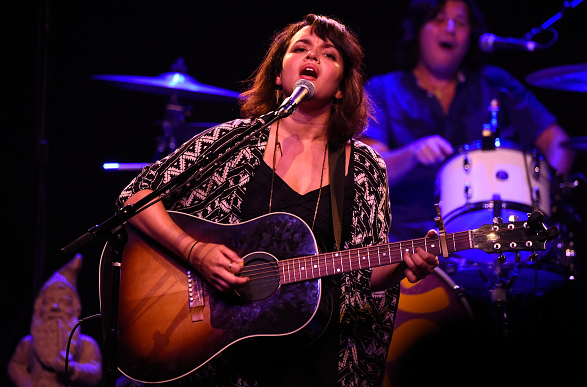 New York City, NY, United States (4E) – Norah Jones remains to be secretive regarding her personal and private life as she has recently given birth to her second child and the public still has no idea about the name of her first son as well as her partner. Jones is already a mother to a baby boy, whom she also welcomed in secret last February 2014. Her partner, who has also been unidentified and whom she has refrained from referring to in her interviews, is said to be a musician just like her. It also remains unclear when Jones and her partner have tied the knot. According to reports, despite the efforts of the “Don’t Know Why” singer to keep her family life private, she has brought her first child to an event for military mothers a few months after she gave birth. The event took place at the White House and was hosted by First Lady Michelle Obama last May of 2014. She and her partner were also seen walking through an airport in Los Angeles last 2014 with their first child. The “Come Away With Me” singer has also been posting photos of her and her first son but has not gotten into details as to what his name is. It is possible that she would do the same level of privacy for her second child. Last December 2015, Jones shared on Instagram a video of her son running around to her 2013 collaborative album with Green Day’s Billie Joe Armstrong. The title of the album is “Foreverly.” She said in the caption that the album is “good toddler music” noting that her son would not stop running around. Months before that, she also posted a photo of her son’s hand on a piano. In the fall of 2015, Jones also posted a photo of her son on the tour bus for her concert. She shared in the caption, “Tour bus! Heading to Wilkes-Barre. The kid is learning about technology with # thegodfather . @thecandlesmusic opening the first two shows! # goofygrin @phlow42.” In the photos, she has never shown her son’s face. Jones is the daughter of musician Ravi Shankar . She has a show upcoming this July 21 in New York. It is yet to be seen if her second bundle of joy will be joining her.